As the economy crashes, process automation is poised to ride it out. Walt Boyes speaks with ARC Research Directors Larry O'Brien and Craig Resnick on the state of the process automation economy, and the Control/ARC Top 50 automation companies. Controls Walt Boyes reports on how end users are using field instruments, analyzers and final control elements. Wired or wireless, this is where the rubber meets the road. Matt Willmott discusses the top business issues process manufacturers are facing today and how an integrated main automation contractor approach can help overcome those challenges and ensure a smooth transition from project into operations. Harry Sim left Honeywell for Cypress Envirosystems (a subsidiary of Cypress Semicon) two years ago because he had an idea that needed Silicon Valley innovation and technology. Now, with Honeywells help, Sims wireless gauge readers are giving new life and a digital flair to outmoded dial gaugesat Genentech and other pharma sites. Pharmaceutical Manufacturing Senior Editor Paul Thomas spoke with Sim at the recent ISA 2008 show in Houston. October's cover story in Control is the search for the One True Network, as chronicled by John Rezabek, our intrepid On The Bus columnist. Walt Boyes, Control's editor in chief talks to Larry O'Brien, research director for process automation for ARC Advisory Group about fieldbus in this month's edition of the Control/ARC Monthly Podcast Series. Podcast with ARC on "Domino Theory"
Control contributing editor Rich Merritt conducts a wide-ranging interview with ARC Advisory Group principal analyst John Blanchard on a variety batch-related topics and trends. The interview is a follow-up to Merritt's "Domino Theory" cover article on batch processing in the September 2008 issue of Control. The two discuss the ISA88 standard's history, whether the word "batch" can be mentioned to continuous control users, how ISA88's documentation procedures can help users and where ISA88 and ISA95 may be headed in the future. ARC wireless expert Harry Forbes joins Editor in Chief Walt Boyes in a far-ranging discussion of wireless based on Control's August cover story. Featuring the latest in multimedia and animation technology, this special report from the Honeywell User Group Americas Symposium includes more than 20 articles and presentations as well as eight streaming videos and audio podcasts--many of which have never before been published. 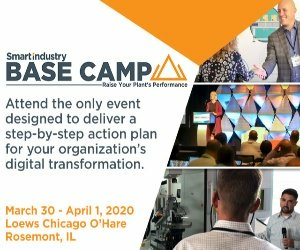 Witness Honeywell's latest technology roadmaps and learn best practices from expert users on topics ranging from alarm management to wireless. Control Editor in Chief Walt Boyes explains the basics of this fundamental control operation. Learn about dead band, lag time, PID control, manual and adaptive loop tuning and why your loop tuning problems can't always be fixed by software. Listen to Walt Boyes speak on the field-instruments portion of the ISA100 Wireless Standards. Bells Brewery in Comstock, Mich., recently deployed a vertical Siemens automation solution developed specifically for the brewing industryfor all functions from brew house to cellar. In this video, discover how this pioneering microbrewery produces 26 different beers, each with a different temperature processing profile, and is reaching new levels of quality and consistency.